This Tree was planted on Basant Panchami. The tree will be nurtured by the farmer on whose land the tree has been planted. From the third year, each tree will start yielding 100-120 kgs of Apples. 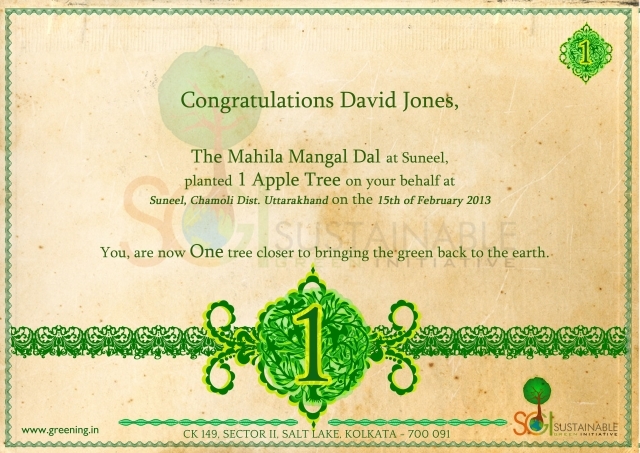 Each tree will help the farmer with food, nutrition and an income of atleast Rs 500/- every year. This tree is located around the village of Suneel, Chamoli Dist, Uttarakhand.